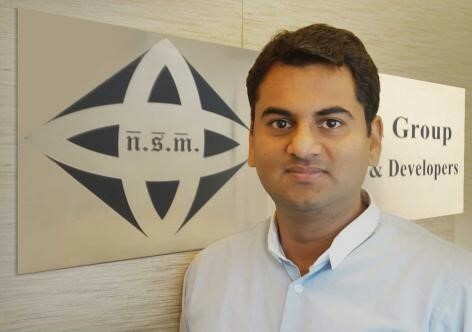 Mumbai-based Nasam Group has completed 10 projects in Mumbai in the last 10 years since the company was established. A fast growing real estate company, the group specializes in redevelopment projects and has been working of a string of projects that provide homes to suit various class of people. With the promoters being involved in the area of construction activity since many years, the setting of Nasam Group was a logical extension. With a primary focus of establishing international benchmarks at a price that is affordable to the Indian buyers, the group has been focusing on every aspect of property development with the primary intention of creating self sufficient communities that have a harmonious mix of residential and commercial projects. Naeem Bhati is the Managing Director of Nasam Group and he responded to the Q&A from BERG Team on his business philosophy, vision and overall view on the real estate sector. BERG: What is your philosophy and overall approach to the Indian real estate market right now? easing norms for foreign investment into real estate projects. The decision to allow 100 per cent FDI under the automatic route for investments into townships, shopping complexes, business centers and other real estate developments is a very welcome move and is already having the desired positive effect on the industry. In my opinion the next two decades are going to extremely interesting for the Indian real estate sector. At Nasam Group we are all geared up to take advantage of this bullish phase and are already working on many redevelopment projects in Mumbai and other Greenfield projects close to Mumbai. BERG : How many projects have you completed in India till date and as most of your projects are in Mumbai, how is this city’s Real Estate Industry compared to other major cities in India? Naeem: Currently, we are only concentrating our developments in and around Mumbai. In Mumbai we are working on an interesting project at Bandra East, near the new Kalanagar flyover. This project will consist of two tower with 15 floors each. The other project is called Nasam Montana and it is in Lonavala near Mumbai. This one is a 14 row bungalow project with state-of-the-art and hi-tech amenities. These fully furnished bungalows have been designed by architect Reza Kopal and the interiors are being designed by Pritesh Patel. BERG : For real estate developers, the market seems to be quite challenging. When do you foresee a turnaround in fortunes? Naeem: Being a relatively new entrant, I do not think we are really in a position to comeent on the overall industry. Also, we are primarily a Tier 1 city developer and the conditions in other places can be very different. Having said that, I do not think that the market is facing a challenge. Our upcoming projects in Mumbai city and Lonavala have attracted a good response despite being priced at INR 15 crores (USD 2.4 million) & INR 4 crores (USD .624 million) respectively. Also, we are not sitting on a huge landbank like many other developers and so our focus is primarily on the current projects at hand. BERG: Any major expectations or new initiatives from the government that can give a boost to the sector? Naeem: Housing loan interest rates are an area of concern for retail buyers. While these are on the way down, a favourable interest regime would be great for buyers as well as developers. Further, the government should embark on projects with Public Private Partnerships. Norms of licensing by local municipal bodies and land acquisition permissions should be faster and easier. Turnaround time for projects can be much faster if single window clearance for projects can be introduced. The Indian real estate market size is expected to touch US$ 180 billion by 2020. The housing sector alone contributes 5-6 per cent to the country’s gross domestic product (GDP). Also, in the period FY08-20, the market size of this sector is expected to increase at a compound annual growth rate (CAGR) of 11.2 per cent. Retail, hospitality and commercial real estate are also growing significantly, providing the much-needed infrastructure for India’s growing needs. The future is quite bright, but we need strong regulatory support from the government.